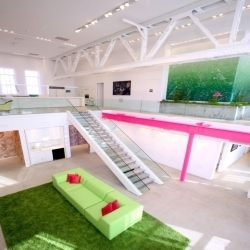 From Gym to Apartment...One day i'll have a space like this! 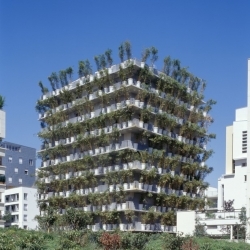 Flower tower in Paris by Edouard Francois, 2004. 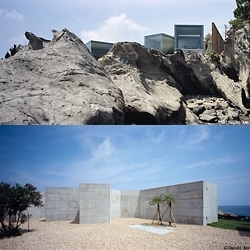 House O was designed by a young architect named Sou (it means grand and spirited) who is a rising star in Japanese architecture. 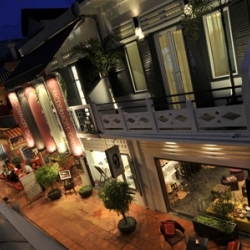 The boutique hotel with only ONE room- The One Hotel Angkor. 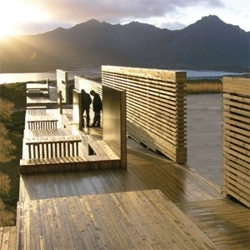 70ºN Arkitektur designed some nice rest areas, bicycle sheds and birdwatching towers along the National Tourist Routes in Norway. 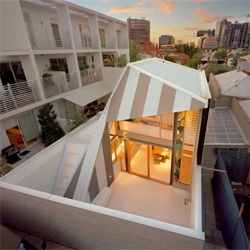 Fiona Winzar Architects turned a typical single fronted Victorian house into a generous, light-filled open plan, three-bedroom, two-bathroom house in Australia. 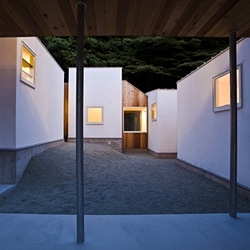 A house in Kamakura, the ancient capital of Japan, nicely blends with the historic atmosphere. 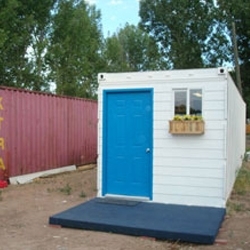 American design group PFNC Global Communities makes affordable housing out of reused shipping containers. 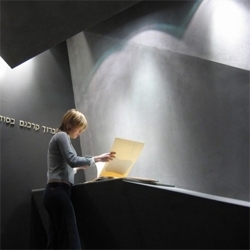 The Yehiam Memorial in Israel is a small space with a big contrast between walls and lighting. 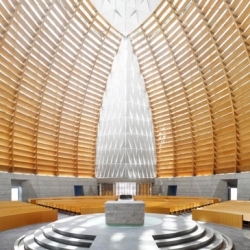 SOM Architects recently completed construction on their incredible Oakland Cathedral! 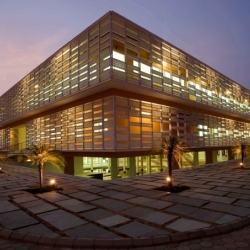 The stunning structure makes beautiful use of glass, fly ash concrete, and fsc-certified wood, but most impressive is the incredible use of natural light. 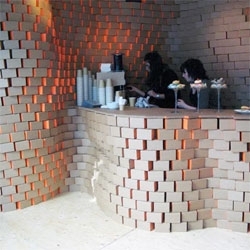 B3 Designers' Cardboard Cafe - the interior design firm converted their studio into a cardboard cafe for the London Design Festival. I mainly just like the splash of color on the inside faces of the boxes that peaks out when the boxes are turned to complete a curve. 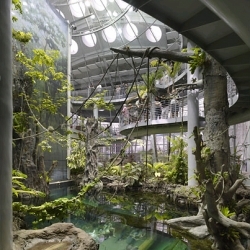 the nytimes slideshow of the new california academy of sciences. 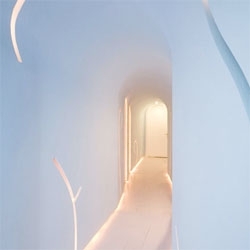 Love the graphic cuts in the walls of Shanghai's Super Sense Spa, designed by KUU. 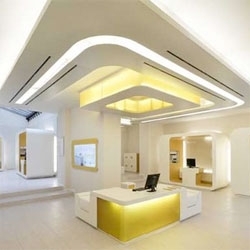 The wall cuts become recesses for lights. 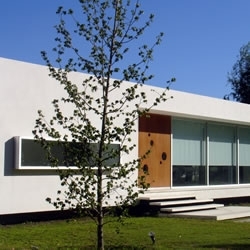 Interesting idea behind Jürgen Mayer's Dupli.Casa - the floor plan matches that of the previous house, but the Dupli.Casa's form takes on its own life. 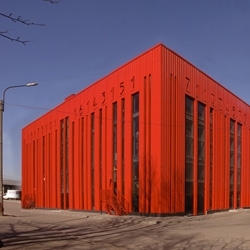 The last project from Slovenian architects OFIS with a really innovative concept. 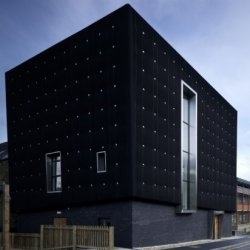 The Soundhouse building at the University of Sheffield is now complete. 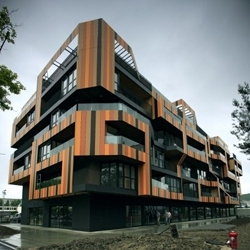 The building is clad in sound insulating black rubber. 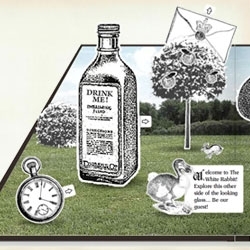 The White Rabbit, a singapore restaurant and bar housed in an awe-inspiring and beautifully-restored old chapel, tells its tale in the style of vintage children's pop-up books like no other. 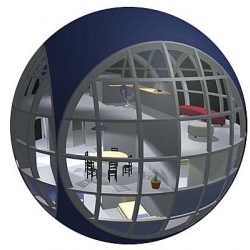 Bola Futura ~ THE BALL HOUSE MAQUETTE. 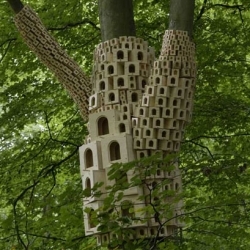 Architecture isn’t just about architects. It’s human, it’s organic - it’s all about add-ons! 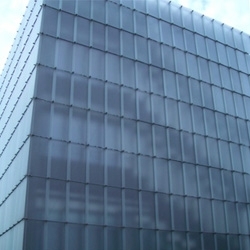 At first sight the Kunsthaus in Bregenz by Peter Zumthor just looks like another contemporary building made of glass and steel, but it is not. 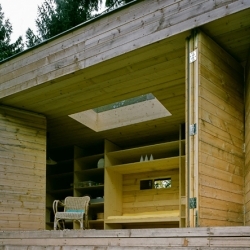 Haus K27 and Haus K37 are two small houses by Austrian architects Planhaus. 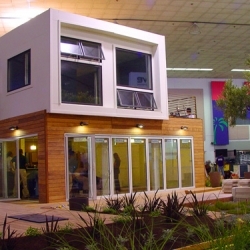 I especially like the retractable facade of the smaller K27. I recently got a chance to tour the completed CA Academy of Sciences! 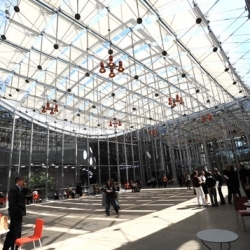 The stunning structure features over 38,000 live animals and is in the running for LEED platinum. 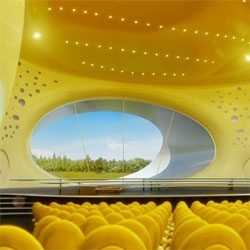 Interesting new concert hall by Future Systems on the outskirts of Prague. Inspired and named after the Czech composer Antonín Dvořák. 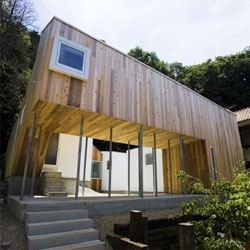 The Mebius house was recently completed by Atelier Tekuto. 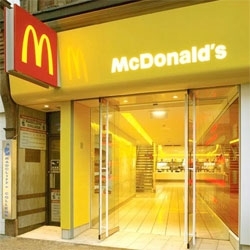 It was named after the Möbius loop because of the looping hallway that runs through the house. 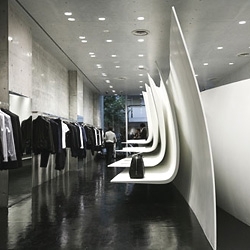 The new Neil Barrett store designed by Zaha Hadid has opened in Tokyo's Minami Aoyama district. 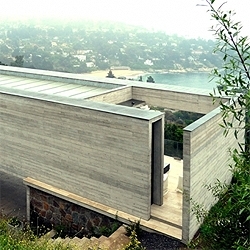 A concrete house on the chileab beach side. The planes of the house frame the landscape with amazing views. 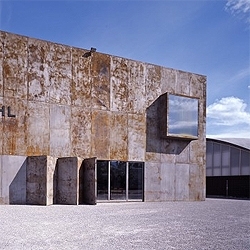 The Kulturfabrik Kofmehl is a venue for the youth in Switzerland. 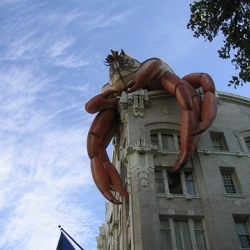 Aimed to host counterculture events, the building serves as a no-place at the same time. 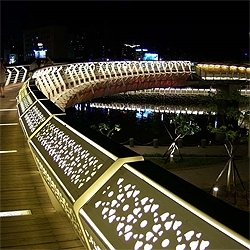 The Heart of Love river bridge system, a structure with an expressive light work that turns the bridge into a urban catwalk during nights. 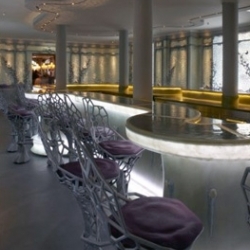 The Ladurée Bar : the french House of macaroons deals with ancestral and futurist design for that new trendy place. 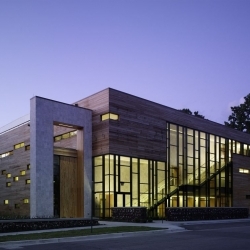 Jewish Reconstructionist Congregation designed by Chicago-based architecture office Ross Barney Architects. 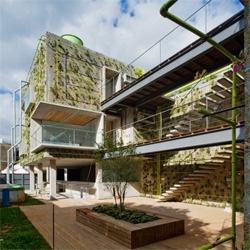 The building just received a LEED Platinum certification. 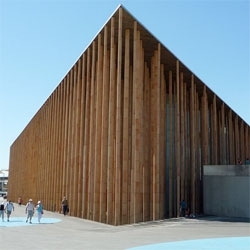 I love Francisco Mangado's spanish pavillion for the 2008 Zaragoza Expo. 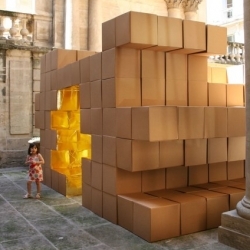 There were 750 clay columns that provide a modern take on greco-roman temple architecture. Heath Ceramics coming to LA! "at 7525 Beverly Boulevard (at Sierra Bonita Avenue) in the central Los Angeles design district"
Barcode, by Vitruvius. 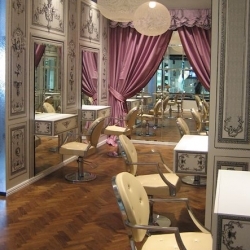 Unusual shopping mall in St. Petersburg Russia. 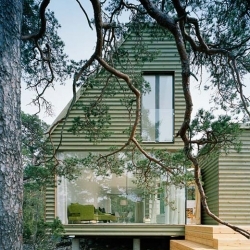 The Ygne summer house is situated on the island of Gotland, one of Swedens most popular summer holiday spots. 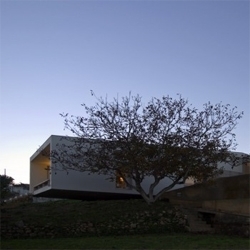 The design ambition was to build a house that would recess into the natural environment. 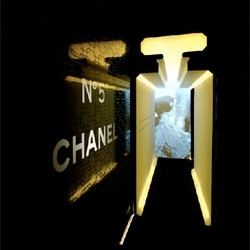 By Sandell Sandberg. 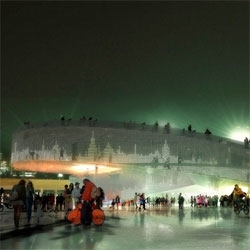 Love the cityscape that is rendered through lights in facade of Bjarke Ingels' Danish Pavilion for the Shanghai Expo 2010.